This is a cracking little short story collection by Ed Lynskey, who’s probably better known for his Frank Johnson PI series and other novels such as “Lake Charles”. It contains 16 stories, some new and some that have been published in other places before. Together they make for a great collection that really show this writers talents, and given that the author reckons to have published over 300 short stories, I hope that this is the first of a number of collections of his work. The stories range from hardboiled crime, right through to near cosy. They cover a range of subjects, and many are quite poignant. Short story writing often requires a sharp, to-the-point prose style and this collection demonstrates that the author can tell the tale, get you engaged in the character and hit his marks all in a few thousand words. Some of the characters repeat across a number of stories which is nice, because that gives the readers an opportunity to engage more with them, and I certainly found I wanted more from a couple of the stories. I feel like I should be picking some favourites, but actually I really liked them all. There were however three that stuck in my head, and are there now as I write this review. I’m not sure why I should pick them in particular, it was either the story or a particular character that’s stuck in my head, but of all of the stories in the collection, those three are the ones I seem to remember the most or connected with more than the others. I’d recommend this collection whether or not you are a crime fiction buff; or whether or not you’ve read anything else by this author. If you are familiar with the author already though, then I wouldn’t waste any more time here, go buy a copy right now. 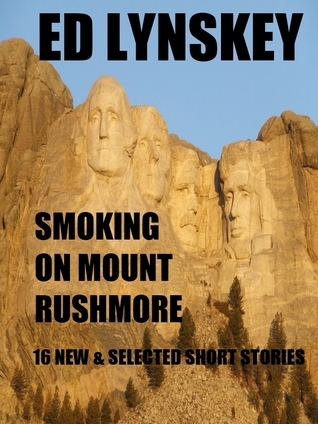 Ed Lynskey is a crime fiction writer residing not too far from the Pentagon. His P.I.Frank Johnson mystery series include Pelham Fell Here, The Dirt-Brown Derby, The Blue Cheer, Troglodytes, and The Zinc Zoo. His small town cozy mystery is Quiet Anchorage, featuring his amateur sleuth sisters Alma and Isabel Trumbo. His standalone Appalachian noir is Lake Charles. Ed lives with his family and one black-and-white cat named Frannie after P.I. Frank Johnson. Ed and Frank are both Washington National baseball fans. This entry was posted in Book Review, books and tagged book, book review, crime fiction, Ed Lynskey. Bookmark the permalink.